The QTU directive to members to ban the implementation of NAPLAN Online is part of a broader campaign to draw attention to the need, after 10 years, to undertake a full review of the NAPLAN testing regime. 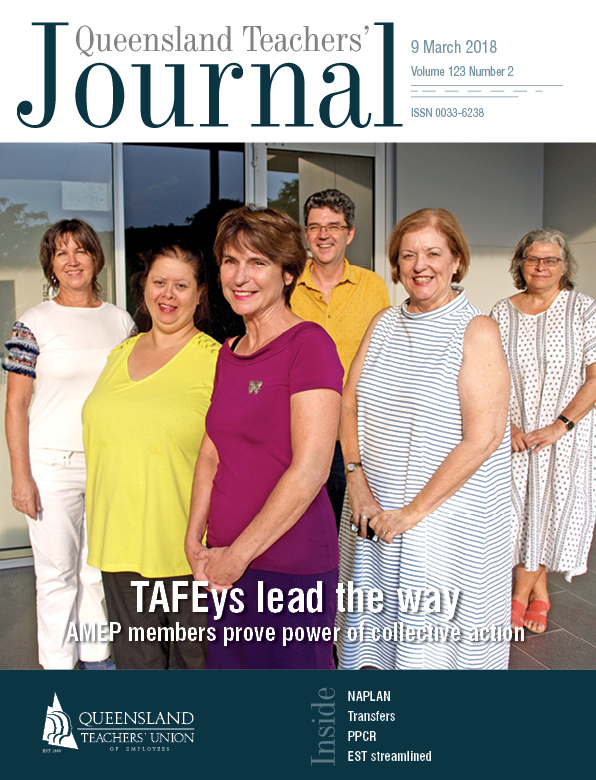 There is no doubt that the action being taken by QTU members has fuelled interest in NAPLAN testing and has led to a focus on the need for a review. Federal Education Minister Simon Birmingham’s claims that teachers and school leaders supporting a review of NAPLAN are “opponents of accountability” demonstrate his lack of regard for the professionals working in schools. Further, his claim that if teachers “just treated it (NAPLAN) as a regular part of a child’s assessment then much of the excessive attention it currently gets would simply vanish” is evidence of how removed the federal minister is from the realities of schools and classrooms across the nation. Here is a timeline of events so far. 4 November: QTU State Council determines that a ballot will be held to consider: a ban of NAPLAN Online, advocacy for a federal government review of NAPLAN testing, rejection of robot marking of NAPLAN writing tasks and to call for a future ballot should the federal government link the introduction of measures such as the standardised phonics test for six-year-olds to any future federal funding agreement. 1 December: Ballot closes with more than 20,000 QTU members participating. Results are overwhelming, with 89 per cent calling for a ban of NAPLAN Online, 92 per cent rejecting robot marking, 95 per cent in favour of a complete review of NAPLAN testing, and 92 per cent in favour of a future ballot regarding federal government initiatives. 24 January: QTU Senior Officers meet with Queensland Education Minister Grace Grace, who indicates that she will advocate for a federal review of the NAPLAN test and undertake investigations into the impact of NAPLAN testing in Queensland. She confirms that state and territory ministers have agreed that robot marking will not take place. However, while she states that no school will be forced to participate, she will not withdraw Queensland state schools from NAPLAN Online in 2018. 30 January: The QTU issues a directive to members to ban NAPLAN Online implementation, including familiarisation and preparation associated with the online test. 5 February: The Courier-Mail reports that Queensland is leading a “revolt” against NAPLAN and makes mention of the QTU ban and Minister Grace’s plan to advocate for a review. A spokesperson for Catholic Education backs calls for a review. Independent Schools Queensland say that there is no need for such a review. 6 February: The Courier-Mail publishes an opinion piece written by the Chair of ACARA, Steven Schwartz which is overtly defensive, full of inaccuracies and represents an extraordinary attack on classroom teachers who have raised genuine concerns regarding the impact of NAPLAN over an extended period. 20 February: The ACT’s submission to the federal government’s Review to Achieve Educational Excellence in Australian Schools also calls for a formal review of the impact of NAPLAN.